Where do I plan on hosting my final video? Where will my audience view my final video? Do I want my video to be produced in widescreen? There are two standard settings for aspect ratio, and those are 4:3 (standard) and 16:9 (widescreen). When choosing production dimensions, you most likely want to choose dimensions that maintain one of those aspect ratios. If you choose to produce a video that does not conform to these standards, you may see black bars on the sides of your video, or your video may be stretched or compressed when viewed on YouTube or QuickTime. In some exceptional cases, players won’t rescale or re-encode your video, and it plays as you produced it, but again, that is the exception. The reason you want to choose your output first is so you can record and produce at the same aspect ratio. 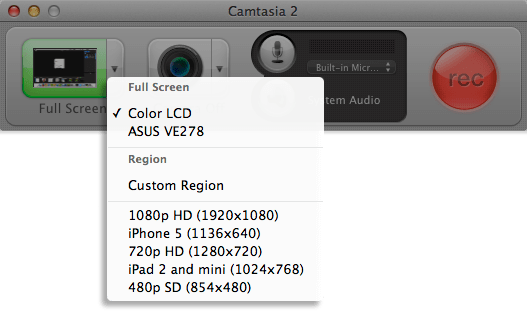 For example, you can record at 1280x720 and produce at 640x360 and your aspect ratio is the same. Or, you could record at 800x600 and produce at 640x480 and again, your aspect ratio is 4:3. Ideally, recordings should be larger or the same size as productions, but never smaller. For example, you would not want to record a 320x240 video and produce it as 800x600 because the video will stretch and lose quality at that size. 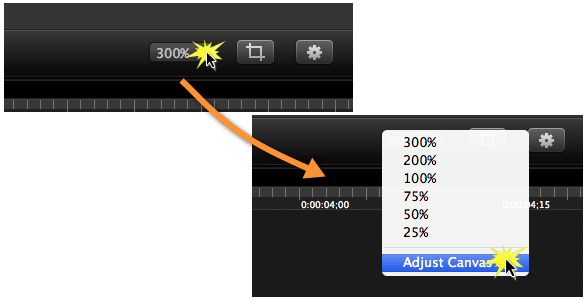 In the Camtasia Recorder, select one of the preset dimensions from the dropdown options. Select Custom Region and, using the crosshairs as a guide, select an area of the screen to record. Select Custom Region, select part of your screen with the crosshairs, and then enter custom dimensions before you record. 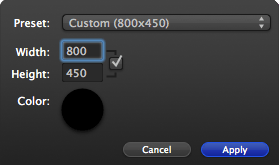 Once you have completed your screen recording and opened the Camtasia Editor, you should adjust your canvas. This ensures that your preview is a direct indication of how your project will look when produced. 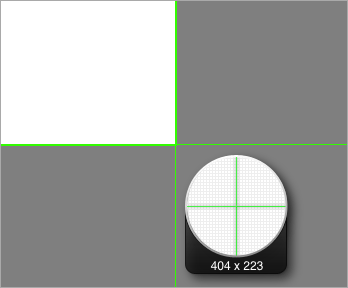 To adjust the canvas, first click on the canvas zoom dropdown and select Adjust Canvas. Set your canvas dimensions to match the production size you determined early on, either by selecting from the available presets, or by typing in your dimensions. Click Apply. Now you can confidently edit your project, knowing that your canvas is sized with your final size in mind. When you have finished editing your video, click the Share tab and choose how to produce your video. Maybe you decided to vary your recording and canvas sizes -- that is okay. The important thing is that you maintain the aspect ratio from recording to editing to production. If you have done that, you are on the road to producing and sharing a high-quality video. Note: When it comes to sharing to YouTube or Screencast.com, only YouTube re-encodes videos that are not 4:3 or 16:9 aspect ratios. Screencast.com plays your videos at whatever ratio you produced them. If you used a non-standard aspect ratio and want to avoid having your video stretched or compressed, try uploading it to Screencast.com.